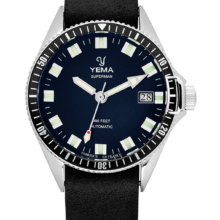 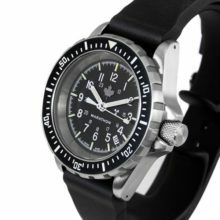 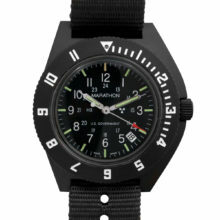 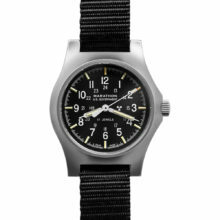 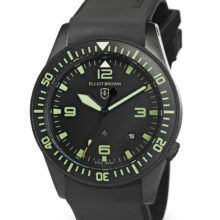 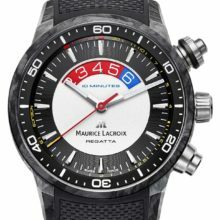 Brushed and polished stainless steel case (45 mm in diameter, 15 mm thick), See-through screw-down case-back, Black PVD coated unidirectional rotating bezel, Black dial with designed center, White luminescent hands, indices and Arabic numerals, Wide date window at the 3 o’clock position, Screw-down crown, Scratch resistant sapphire crystal, Swiss automatic movement, Incabloc antishock system, Caliber AL-525, Power reserve of 42 hours, Water resistant to 100 ATM/1000 meters/3280 feet, Black rubber strap, Pin buckle, Model number: AL-525LBB5AEVZFB6. 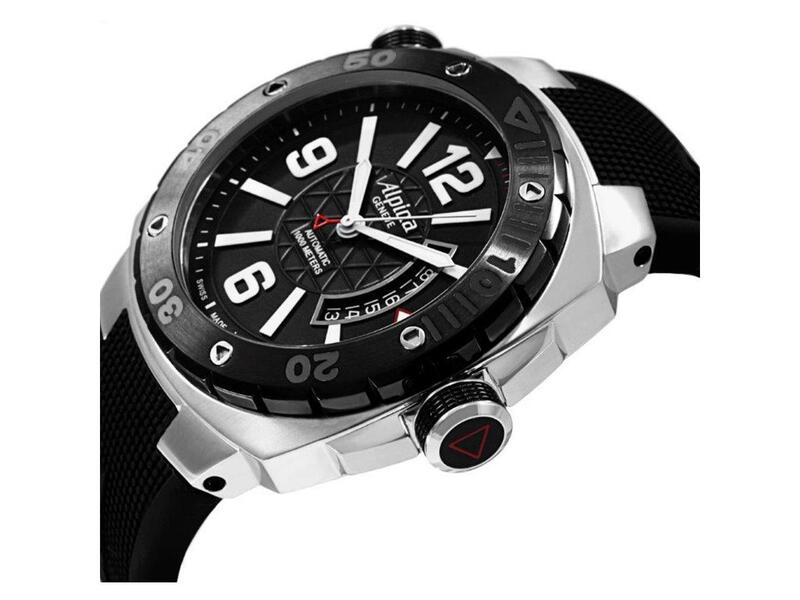 Since 1938 Alpina produces water-resistant watches. 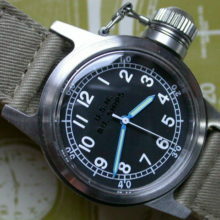 Almost one century ago an innovative patent on the crown already guaranteed water-resistance to Alpina watches. 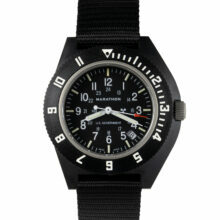 In 1969 the “Alpina 10” Seastrong diving watches reached 200m (600ft) water-resistance. 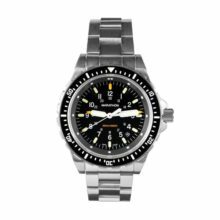 Today, all the professional diving watches from the Alpina Extreme Diver Collection are water-resistant to a minimum of 300m (1000ft). 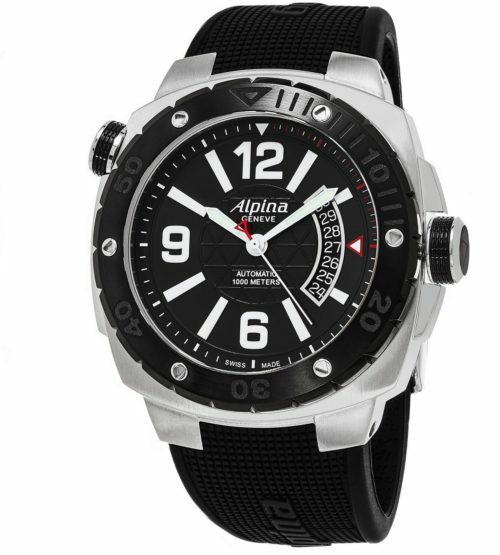 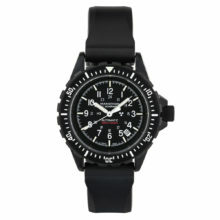 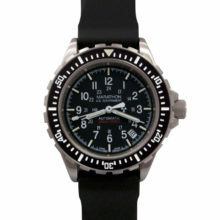 All Alpina Extreme Diver watches including this Alpina Extreme Diver 1000 Meters are ISO 6425 certified. 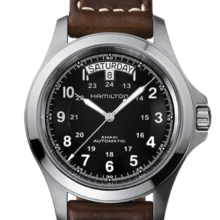 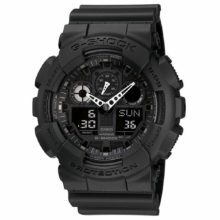 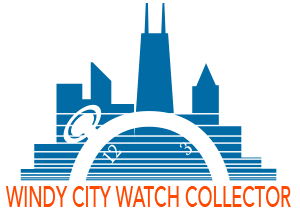 Great watch with excellent fit and finish. 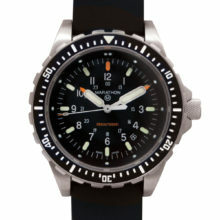 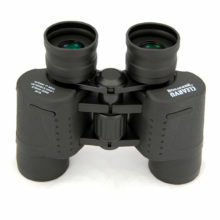 The back is screw down and has a sapphire crystal to allow the modified movement to be viewed. 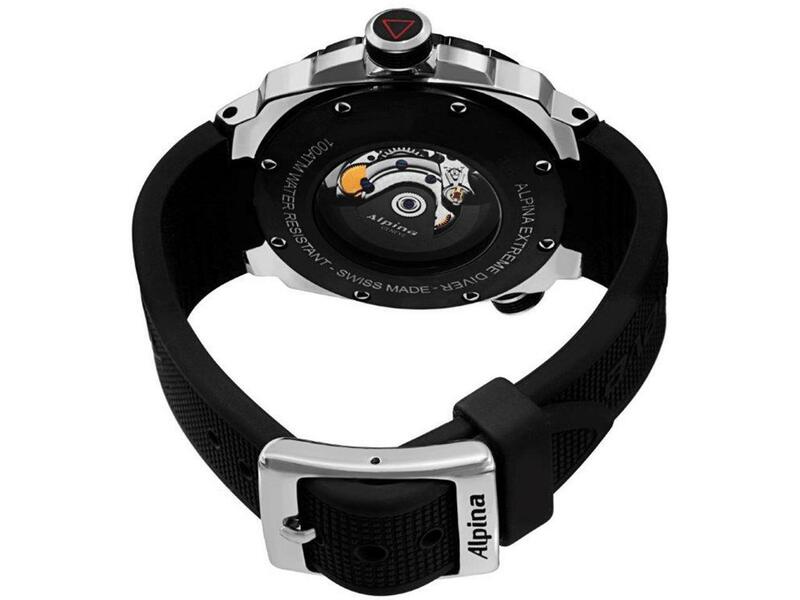 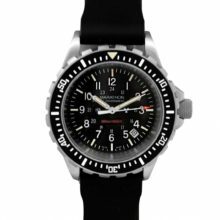 Extremely reliable, the AL-525 is the automatic “engine” for those Alpina watches that have been designed for heavy duty under trying conditions, such as the Extreme Diver. 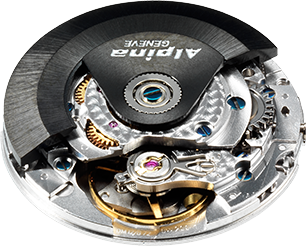 The movement is finely decorated and sports a specially conceived rotor.